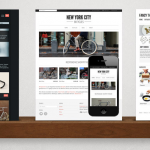 When it comes to your e-commerce store there is no more important aspect than your product page. It is at this stage in the process where a potential customer decides whether or not to make a purchase from you. Many store owners will focus their time on ensuring the right payment options are available, streamlining their checkout to one page and worrying over the basket area. However, these sections of your site will never see the light of day unless you have a product page that converts. A perfect product page should inform the visitor why they need it and what desire it will fulfill. Language aside, there are many more elements such as trust, reputation, social proof and design that are just as important as the next. Users of Shopify have a particular advantage as there are an abundance of apps to help them achieve a higher conversion rate. Below are 6 tips and some great add ons to help you turn those visitors into customers. Those words might have been the mad ramblings of David Brent from The Office, but when a user lands on your site, it’s of the most importance that they feel they can trust you. In a recent survey from econsultancy, it was determined that three times as many online buyers “would purchase a product online costing more than $1,000 without seeing it first, if returns were free”. You may not have any items of this value, but this shows the amount of trust consumers have these days in buying a product, if they know they can return it. 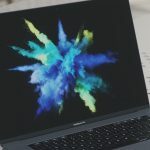 Another way of boosting your reputation and gathering your visitors trust is to add any badges, awards or classifications your company has, this is very easy to do via Shopify’s rich text editor. “Please press 1 for sales, 2 for accountant…”, people get easily impatient listening to your telephone line, so it’s no surprise that live chat has become the leading contact source for online shoppers. A staggering 62% of online shoppers said they would purchase more products online if a live chat option was available. The same study from Vivocha showed that 44% of people said that having enquiries answered by a live person during an online purchase is “one of the most important features a web site can offer.” Apps such as Olark or Live Chat Inc are ideal add ons for your site. On page FAQs are also a great, according to Optimizely, Roller Skate Nation increased their conversions by a whopping 69% once they added FAQs to their product pages. Product FAQ is a great Shopify app for this. Sales directly through social media increased by 202% from 2013 to 2014 and that figure only looks to rise in 2015. Especially since Shopify announced they were the first ecommerce platform to allow users to sell on Facebook, Pinterest and Twitter. Don’t have the budget for a marketing department? 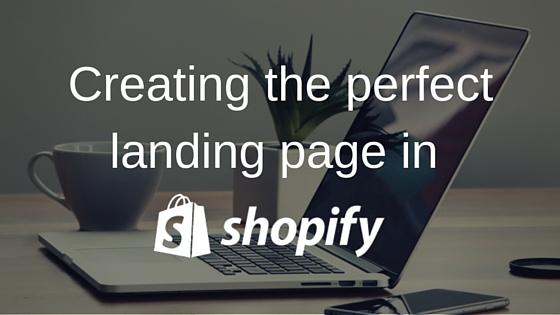 Let your customers become your advertisers by adding a tool like Add This to your Shopify page. Another great addition that Black Milk have implemented is to integrate their Instagram feed into their product pages. They’ve assigned a specific hashtag to each product and then they pull that information into the page. A fantastic way of generating a social presence. Look to add Insta9rammy for this. The product image is the be all and end all of your page. You get this wrong and you’re finished. People tend to want to do it themselves and you can’t substitute that for a professional photographer. With Shopify add on Pixc, you can send them rough images of products and they will turn them into retail ready within 24 hours. A few suggestions when adding them to your page is to make the image big with an additional option to zoom, people need to know exactly what they are buying. Also people buy from people. Having someone using the product is a great way of having the visitor visualize them using it. Black Milk are a great example of this. For examples on creating great DIY product photos check this article from Products On White Photography. Incorporating video is an ever increasing popular method to increasing sales. This is something that ASOS do very well. Also if you can embed a YouTube video, this will also give you an SEO boost. Alternatively use Imajize, to give your product that 360 degree view. Already have a great product image or logo? Want to include them on a t-shirt, sweatshirt or poster? Try Printful’s mockup generator for a quick and free mockup image. In 2014 Shopify reported that 33% of all purchases from their platform were via mobile. In contrast mobile marketing company Somo reported that out of the top 50 high street retailers “46% don’t support responsive design”. Therefore making sure your desktop site design translates in to mobile is of the utmost importance. As for other elements, a breadcrumb trail is essential to your navigation design. Also drop down bars where possible, are a great way of keeping your site looking clean. A recent article we wrote about Graze has some great tips for a clean and elegant design. A recent study by Barilliance also showed that 5.5x as many people who clicked on product recommendations were more likely to buy than those who didn’t. Look to add a related products bar under your product via Linkcious or Recomatic. The biggest mistake that people make is not explaining why the customer needs the product. Just simply explaining the specifications isn’t enough, talk to them like humans. A personal favourite of mine who nails on page language is Firebox, just read their description for Unicorn Tears Gin. You need to be an open book and explaining shipping charges on page is essential, nobody likes nasty surprises. The biggest cause of cart abandonments is unexpected shipping costs. Creating a sense of urgency is effective in getting people to purchase. Phrases such as “Only a few left” or “Limited availability” will help achieve this. If you also sell on sites such as eBay and Amazon, Veeqo will integrate with your Shopify store to manage your stock across all your channels. This will help you from over-selling and disappointing your customers. Start making these changes today and you can find that just a small tweak here and there can make a massive difference. 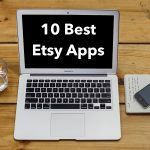 Know of any other tips or great Shopify apps? Leave them in the comments below. 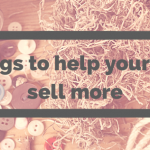 About the author: This is a guest post by Richard Protheroe, who is a Content Marketing Executive at Veeqo, which allows you to connect your Shopify and Amazon accounts to manage your stock in one centralised place. Looking into this,need to learn about it. I am open for suggestions. Landing pages are all about achieving goals to grow your customers base as well as to increase ROI. I have been using Firecart for creating the landing page and also nurturing them through different segments. Can everyone help me out creating a landing page for my webshop via Shopify as I don’t want to use an expensive app (which are available). Great tips. You can also optimize your Shopify product page by optimizing product image, multiple delivery method, express delivery, coupon code, free shipping and other attractive offers. Also, ensure that all your key elements are above-the-fold. This will help capture the users’ attention instantly. Great tips, Julia. Thanks for sharing this!